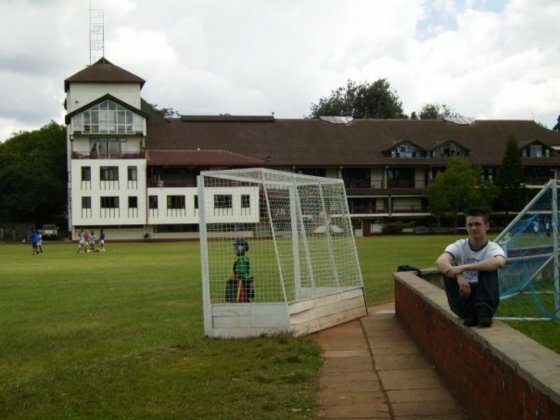 As many of you that know me are aware, i grew up in Kenya and moved to England at the age of 12. I served 10 years in the Royal Marines and after being medically discharged I'm going back to Africa to work on the streets and in the slums with young people who can't afford education and are on on drugs, some even heroine. Lots of them are being sexually exploited and have involvement with gangs. We will be working with AMREF Dagoretti child protection and development centre and our aim is to build relationships with these young people and have conversations about resilience, bravery, gang leaders, self esteem, hope, concentrate and drugs. I personally will be talking and challenging these young men in " what they think it takes to be a man" and problems they face living in the slums and having to sleep on the street. I believe having grown up in the same area and with my experiences during my career in the Royal Marines we can have really meaningful and truthful conversations. We don't have the magic answer to solving all their life problems but i strongly believe teaching them important skills which will help them get work and challenge them to be brave and make changes for their future. There is a possibility for AMREF to fully pay for their school and education. Please share this.